Ever wonder how to make a coiled wire beads? 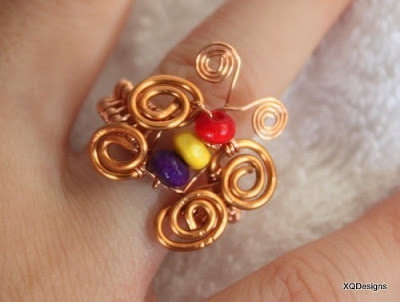 To make these wired beads, the main ingredients required are soft wires. You can then use them to form earrings, necklace or bracelet with other beads. The tutorial in PDF format comes with pictorial step by step guides to illustrate making of the copper wired cage (picture 5). It also shows another variation of placing beads within the wired beads and turn them into beautiful earrings (picture 2). It is very easy to follow. It is suitable those who want to advance their wire jewelry making skill to intermediate level. 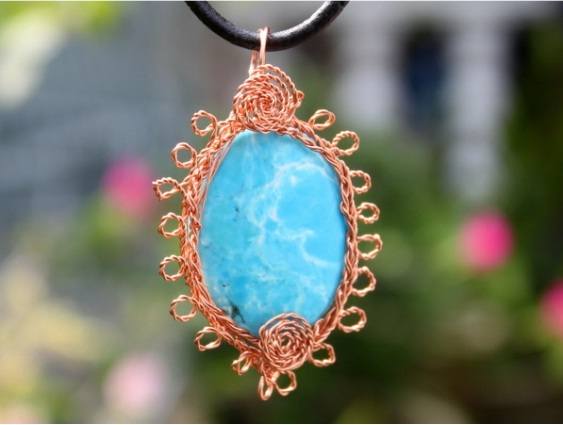 Learn how to give a twisted look to your wire jewelry! The ‘Twisted’ Pendant is a very versatile design. You can come up with your own design by altering the technique. You can alter the size of the pendant, add more beads or position the spirals differently to come up with your own unique design. The technique taught here is using very minimal tools and materials to create a wonderful piece of wire jewelry. The tutorial comes with pictorial step by step guides. It is catered to students with basic knowledge of wireworks. This design is based on the theme of butterfly. This tutorial shows you how to make these butterflies through detailed step by step pictorial guide. Just like real Butterflies, you can apply the techniques to come up with many variations of species, color, mood and look. This design is sweet and elegant which I called it The Princess Bracelet. The tutorial shows you step by step guides to make this beautiful Princess Bracelet. It comes with a master diagram and pictures for each step. It is easy to follow even for a beginner. The tutorial is suitable for confident beginners to intermediate, but even beginners can definitely follow through the pictoral steps.